When the holiday comes around, picking out a gift for the workplace or family gift exchange can be a little challenging. You want to get something thoughtful and creative, but something that will also be appreciated and remembered. A unique gift idea is a Painting with a Twist gift card. It’s the easiest way to give the gift of fun for that special friend, family member, or coworker. Gift cards can be purchased in any amount over $5.00 so it can fit any gift exchange budget. This is a gift that allows someone to have an amazing, fun experience at the painting party and also take home their own painting that will become a lasting memory. Why not throw a holiday-themed paint party? 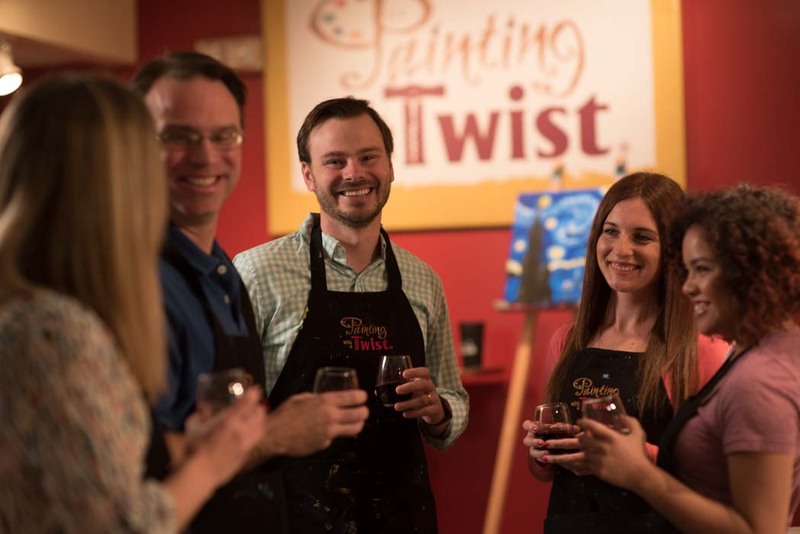 Painting with a Twist offers private paint parties for large groups (please note, each studio location has its own requirements for minimum group sizes). With a private paint party, you can select a piece from our entire catalog of paintings. We take care of all the paint, brushes, canvases and teacher. All you need to do is invite your guests and encourage them to bring their favorite beverage and perhaps something to nibble on! Paint parties are a festive way to celebrate the season. You can also plan a paint party to celebrate any type of occasion or just to get your group together. A private painting party is a really fun and exciting way to bond in a large group atmosphere. If you are considering throwing your own paint party, you should talk to one of our studios! They can answer any questions you may have and help you get started. It’s November and the holidays are approaching quickly. We have a large catalog of holiday art to choose from that will provide a unique personal touch to your yuletide decor or create the ideal gift for a friend, family member or special someone. 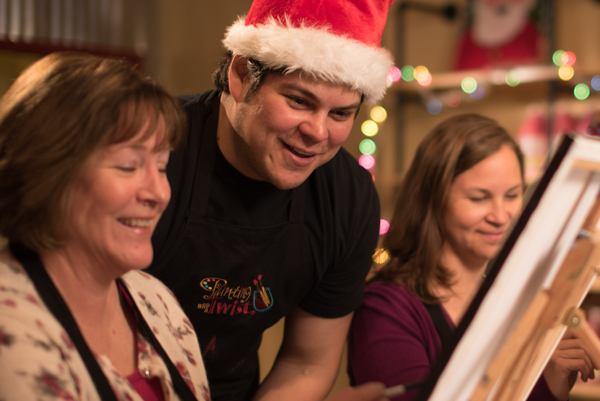 Come to celebrate the holiday season and create something special and fun with one of our artists at a Painting with a Twist studio in your community! 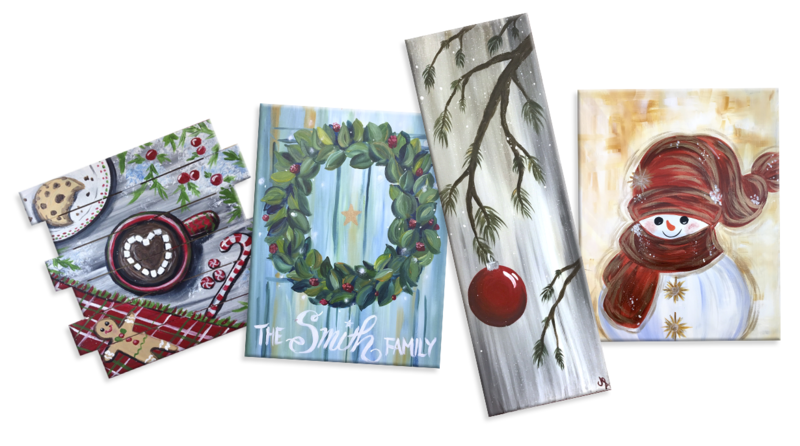 Have a great time with your friends and family while you paint a holiday-inspired creation you can take home with you. We provide all the paint and materials, just bring yourself, your favorite beverage, and perhaps a simple snack to nibble on between brush strokes. Create your own Holiday Art! Sign up for a holiday paint party today! 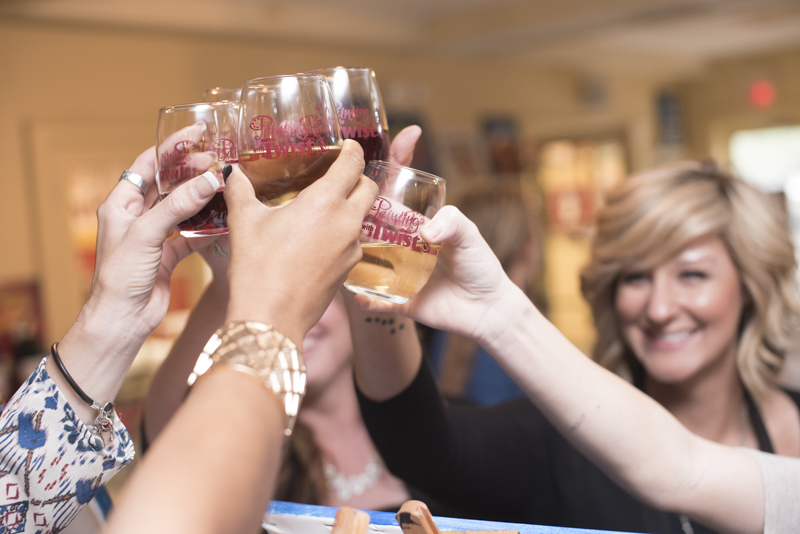 Paint, Sip and be Merry! If you want a unique way to celebrate the holiday season, book a paint party today! Ready for an amazingly festive good time? Get started on our Holiday Paint Party page. “How to Tuesdays” is a series of colorful and educational videos that highlight the most common creative techniques used by Painting with a Twist artists. We made them just for you! Sometimes the idea of entering a studio in hopes of painting a piece of art can be intimidating. (Pro Tip: Wine helps!) These are some great Twister Tips if you aren’t accustomed to picking up a paint brush. 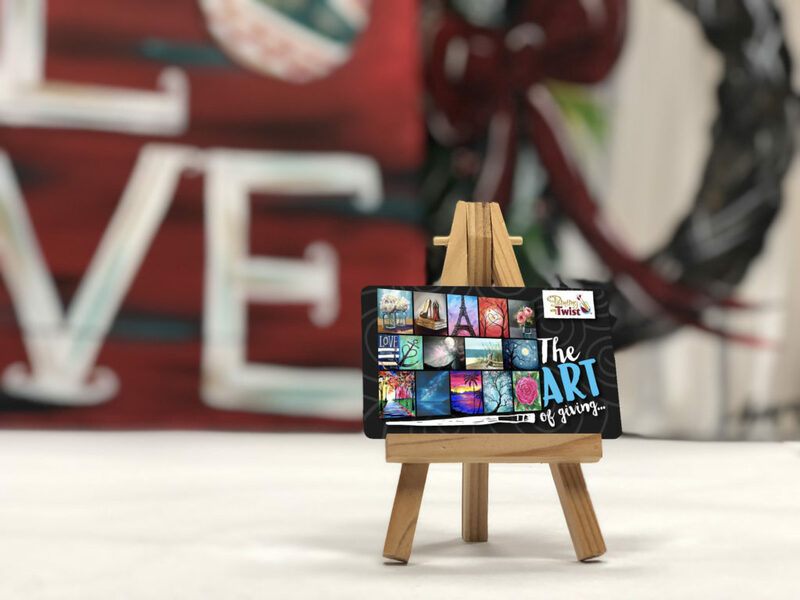 We are here to show you the basics of the painting materials and move on through the different creative techniques so that you can create art at ease – inside and outside of the Painting with a Twist studio! 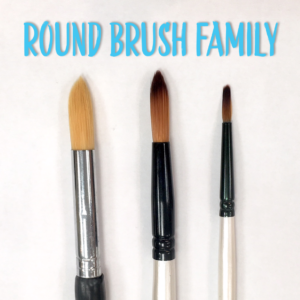 We like to work with two different brush families: Round and Flat. Each brush allows you to practice different creative techniques, so it’s important to get familiar with each one. The round brushes have rounded edges and the flat brushes have cornered edges. 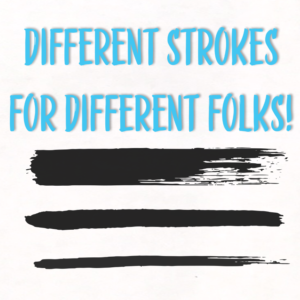 You can see the difference in the brush shapes below. 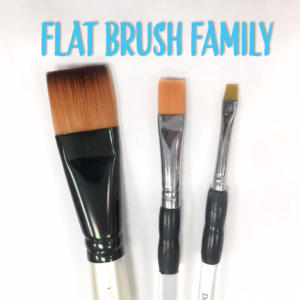 Watch as our artists talk about the How to Tuesday: Round Brush Family and the How to Tuesday: Flat Brush Family of painting supplies. Eventually, every artist discovers their own personal treasure trove of creative techniques to use with their favorite brushes. Until you’ve gotten into your own paint and sip groove, please indulge in some of our classics. In the How to Tuesday: Different Strokes, Painting with a Twist artists explain a variety of fun, easy, and creative techniques you can use to make a beautiful painting. Thin lines, thick lines, broad strokes, and messy dabs! When it comes to painting, the possibilities are endless. All you have to do is stay optimistic and curious! 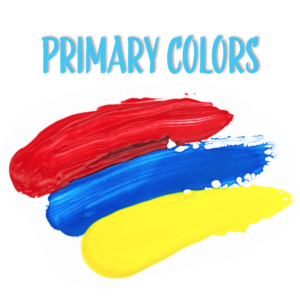 Did you know you can make almost any color from the three primary colors: Red, blue, and yellow! Watch the How to Tuesday: Mixing Paint where our artists teach you how to mix up the perfect palette for any painting. 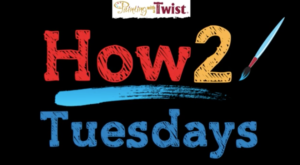 We have plenty more How to Tuesday’s to share with you so stay tuned for the next round of Twister Tips!